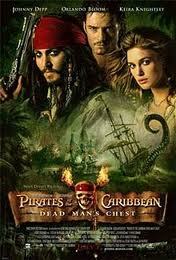 Review: Jack Sparrow rushes over to get the heart of Davy Jones. This is so he doesn’t have to enslave his soul to Jones’ service. All the other friends go to seek their heart for their own agenda. Once you have seen the first one you have seen them all. This marks famed special-effects house Industrial Light and Magic’s first Oscar win since Forrest Gump 12 years before.The movie got banned in China and it was the highest-grossing movie of 2006. I can’t believe that they are going to do a 5th film. It is going to be called Beyond The Seas World. Scheduled for 2013. In 2007 this film won an Oscar for the Best Achievement in Visual Effects. At the Baftas it also won Best Achievement in Special Visual Effects.